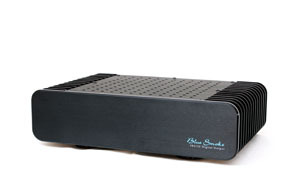 In 2007, Blue Smoke introduced the Black Box™ music server system which was arguably the first true audiophile music server available. As the digital world has expanded, Blue Smoke continues to produce cutting edge products that meet the demand for products that are both user-friendly and exceptional in quality. The Black Box II builds on the success its predecessor and is a state-of-the-art next generation digital music server/client utilizing the latest in low-power i7/Haswell technology from Intel. It is completely fan-less (passively cooled) and features no moving parts. This eliminates all audible, thermal and electrical noise contamination in the system. Among the standard features included with the Black Box II™ is a high-density SSD for fast reliable playback, as well as 8 GB of high-speed RAM for direct memory playback. Running the latest version of Windows (8.1), the Black Box II has been streamlined and reworked to provide the best in clean, pure, natural audio playback, without compromising the full functionality of the system. The Black Box II ships with J River and Media Center 19, and is controllable with iPad, Android and Windows devices. Please contact us to discuss you particular needs and we will customize the solution to meet those needs. Employing the same attention to fine detail as we do in all our products, we offer the videophile's Blu Box™ home theater server. Call us to discuss the customized features you are looking for. 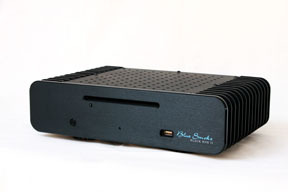 See more information under "Services" and then contact us to discuss your needs.
. Paired with the Black Box II, the USB to 384/32 Digital Output becomes the ultimate digital front-end, delivering ultra-low jitter (Sub-2 picosecond) music reproduction due to its unique on-board dedicated audio clock (which is upgradable to a Sub-1 picosecond, or a sub-1/10th picosecond clock). The USB to 384/32 Digital Output also supports full DSD (64x and 128x). The 384/32 Digital Output supports all standard digital audio interconnects with S/PDIF, and AES/EBU on-board. It also offers an external clock input for slaving to an external master word clock. Full support for the MSB I2S Pro Network, is included, allowing MSB DAC-IV and Analog DAC owners to realize the full potential of their DACs from a full function music server.